I’m loving my knitted blanket so much that I have been inspired to create a throw rug. 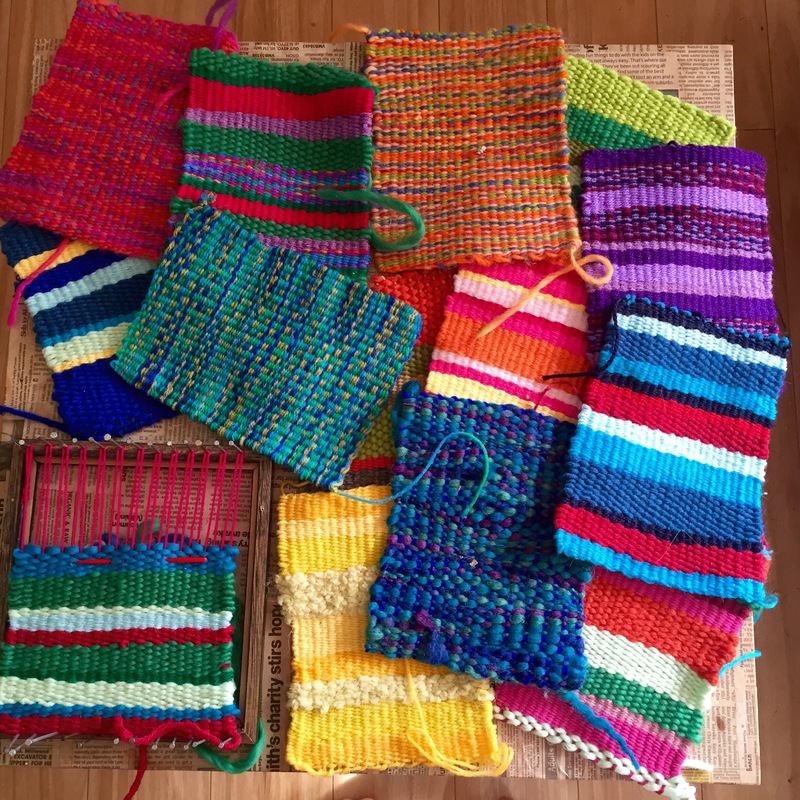 I’m not a knitter or crocheter, so I’m busy as a bee weaving stripy rectangles in a rainbow of colours at the moment! Once I have enough I will sew them together into a warm and cosy blanket, but I’ve got a long way to go yet. 13 and a half done …and counting! I wonder if mine will be three years in the making as well? This entry was posted in Craft Projects, Home DIY and Decor and tagged blanket, craft, diy, patchwork, rug, weaving, wool, woven, yarn. Bookmark the permalink. Stunning, creative color combinations! You are fearless and I like it. Ha, thank you Nancy!!!!! My motto should be “Never be afraid of colour”!